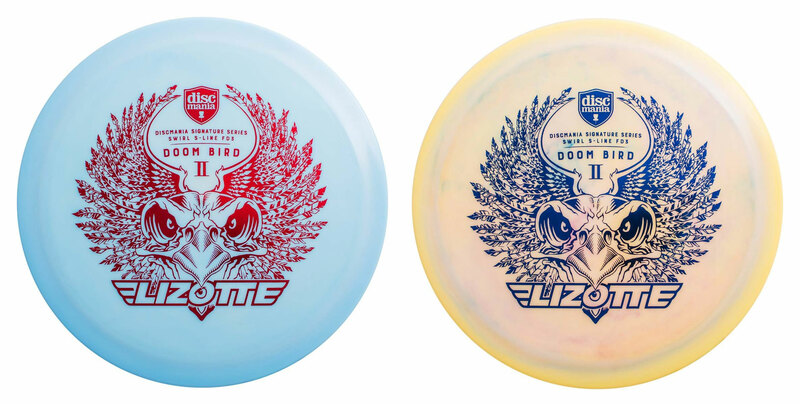 Discmania presents Simon Lizotte's Signature Swirl S-line FD3, The Doom Bird 2. 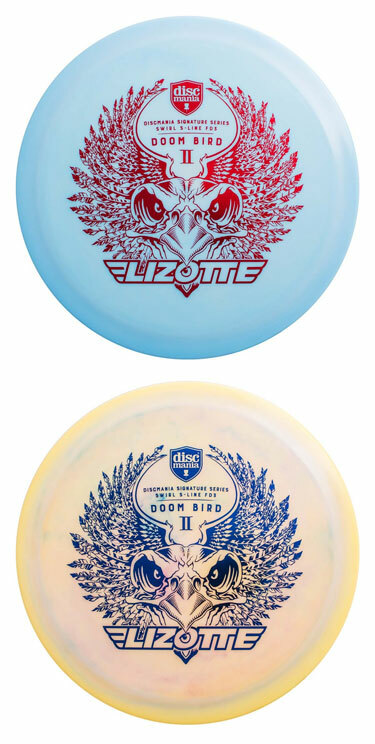 The Doom Bird 2 stares down the competition from a high perch with it’s menacing glare and wings spread wide, waiting to speed down the fairway on big hyzers and crush through headwinds as if they were nothing. With a reliable stability and the ability to carve shots in the sky, this chain hungry carnivore is a necessity for Simon’s Bag and should be for yours as well. Be ready to wield The Creature of Doom alongside Simon this season and and take your game to never before seen heights with the Doom Bird 2. Each disc sold benefits Simon in his touring efforts across the globe!